Most Americans know that they should expect to receive a census form every ten years, which gathers information about the population. Every five years, the United States Department of Agriculture conducts a different kind of census, measuring the size and scope of the farming industry in the U.S. If a farm or ranch received a survey for census participation in the past (the last census was taken in 2007), the farm will be mailed a survey that can be filled in and mailed back. If a farm or ranch was not part of the 2007 Census and has not received a form in the mail, the owner must go to the USDA’s census website www.agcensus.usda.gov and register. Once this form is submitted online, a survey will be mailed to the farm or ranch. 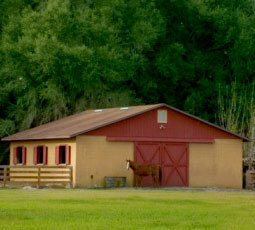 Horse owners can also fill out the census online at www.agcensus.usda.gov. Even if you plan to fill out the Census online you will still need to register with the USDA if you have not received a form in the mail. If you have received a census form in the mail, you are required by law to respond, even if you are not currently farming. 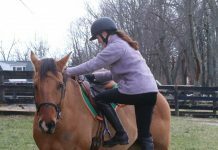 The AHC is encouraging all horse owners to participate as the responses will help the USDA determine the size and scope of the equine industry in America. This will help guide government and business decisions related to agriculture in the coming years. I am not sure if this is a good thing, or bad. I wil have to read more up about it on the web site. Wouldn’t mind filling out the survey but don’t really feel like registering with the USDA.